Hey Personal Financial Freaks! This is my last Dividend Income Summary for 2016. As you can see on my Passive Income page, 9 companies (out of 20) chipped in for this month of December. What do you think of my dividend income stream in 2016? Happy Holidays and a great start for 2017 to all of you. It doesn't happen often these days, so I thought I would write something about it: I bought 150 shares of Empire Company Limited. (EMP.A). EMP.A is a Canadian company headquartered in Stellarton, Nova Scotia. Its key businesses are food retailing and related real estate, through wholly-owned subsidiary Sobeys Inc., and a 41.5% equity accounted interest in Crombie REIT. With $24.4 billion in annualized sales and $8.8 billion in assets, Empire and its subsidiaries, franchisees and affiliates employ approximately 125,000 people. (source : Empire Company Limited). I have been following this stock on and off for the past years. As you may know, the country’s second-largest grocer has struggled since its 2013 takeover of Safeway Canada. 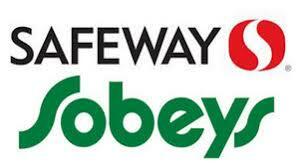 Today, the owner of grocer Sobeys posted another quarter of poor results. Hence the steep drop in its stock price. Hence an opportunity for investors like us. According to the Globe and Mail, EMP.A said its second-quarter profit slumped by more than half to $33.1-million or 12 cents a share from $68.5-million or 25 cents a share a year earlier. Sales slipped to $5.9-billion from $6.1-billion. However, I still believe that the company can pull through in the long term and eventually reap the benefit of this acquisition. I like the fact that Empire owns strong businesses in both Food retailing and Real estate, and other operations. Empire's Investments and other operations segment includes (1) a 41.5 percent equity accounted interest in Crombie REIT, a national Canadian REIT. Crombie REIT's strategy is to own and operate a portfolio of primarily high quality grocery and drug store anchored shopping centres and free standing stores in Canada's top 36 markets and (2) various equity accounted interests in real estate partnerships (collectively referred to as “Genstar”). Genstar is a residential property developer with operations in select markets in Ontario, Western Canada and the United States. (source : Investments and Other Operations). I mentioned in this blog that I wanted to accentuate my exposure to REIT's (other than Cominar). With Empire I do just that while giving me an exposure I didn't have in the grocery sector. I bought 150 shares of EMP.A at 15.99$ for a total of 2 408.49$ (including commission). The stock is yielding around 2,55%. It's not high but it's higher than inflation and I believe it can grow over time faster than the latter. 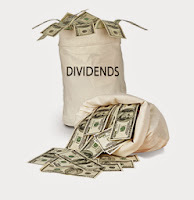 This add 61,50$ to my forward total annual dividend. You can check it out here. All and I all, I think it remains a bold move, given the strong competition in this sector with the likes of Walmart, Loblaws, Metro and friends. Although its currently facing strong headwinds, I feel this stock has potential and I prefer buying the stock while it's cheap -- than the other way around. The stock is currently trading at 40% from it's high of the year (27$). So what do you think of this recent buy? Good, bad, ugly? Do you find it risky or do you think it will nicely pan out over time? I want to hear from you! Hey Personal Financial Freaks! This is my eleventh Dividend Income Summary for 2016. As you can see on my Passive Income page, 5 companies chipped in for this month of November. So I made a couple of purchases, namely Cominar (CUF.UN) which is the only REIT I currently hold. I simply bought it to average down my cost per share since the stock has been recently beat down. I am considering buying another REIT with perhaps a greater exposure to the apartments sector. I'm thinking along the line of Boardwalk (BEI.UN) and Canadian Appartment Properties (CAR.UN). Appartements aside, I also like RIO Can REIT (REI.UN). If they drop again by more than 10% I might make a move on either of these fellas. I did sell some shares of my Vanguard Index Funds simply because I wanted to keep my portfolio allocation to a perfect 80-20 (between bonds and stocks). In the meantime it provides additional cash in case of a drop in my individual stocks. Asset allocation is key. I can easily do this by selling (or buying -- depending on how the market fluctuates) either some bonds or stocks in my funds. This way I can keep my original settings. If the Market goes up I sell some shares or buy some more bonds. If the Market goes down I buy some more shares or sell some more bonds. Easy peasy.